The recent internet security vulnerability known as “Heartbleed” did not, and does not, involve My Docs Online. Many secure sites on the internet are recommending users change their passwords, even after those sites have ‘patched’ the vulnerability. There is no need to do that at My Docs Online. We don’t use, and never have used, the versions of OpenSSL involved. Haven’t heard of Heartbleed? Other sites you use may be compromised. You can learn more here. We’ve improved our zip processing for files you deliver via “Share” using the Desktop App or the web interface (the new web client, not the “classic” version). Now we start the zip processing for all the files you Share right after you do the Share, and almost always have it ready on the file delivery page by the time the recipient sees it. It’s only for Shares of more than one file, and is limited to a total size of all files under 2 GB (over that and the browser will have trouble anyway). The zip processing for users logged into an actual account remains unchanged, but those users have the option of downloading via the Desktop App. QuickBooks file sharing is safe and easy with My Docs Online and the Desktop App. Share any QuickBooks file with colleagues, your accountant, or even yourself when you’re on a different computer. Our file locking technology allows you to open and update QuickBooks directly from your My Docs Online account while keeping the file locked so that no one else can make changes while you’re using the file. What is a file lock and why is it important when updating QuickBooks? In simple terms a file lock is used to prevent two people from opening and updating the same QuickBooks file at the same time. If that were to happen one person’s updates would wipe out the other’s. That’s a bad situation for any file type but especially bad for something as important as QuickBooks. The Desktop App File Locking feature supports all PC and Mac desktop versions of QuickBooks. If you change your mind and need to discard your changes right-click the file and select “Unlock without Saving”. 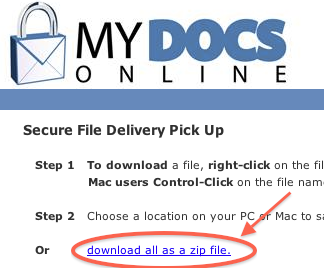 The My Docs Online Desktop App can “Lock & Open” ANY kind of file, including the examples shown in the box on the left. All versions of Windows and Mac OS X are supported, and you use the regular program for that file type on your computer, giving you a familiar, fast and powerful way to edit and update a shared file. When you are done editing the file or document you simply “Save & Unlock” so your colleagues can access it. Access to an account via the Desktop App is secured using a Login ID and password, and SSL encryption is automatic. If you don’t have a My Docs Online account, Try it today for FREE and discover why our customers have relied on us since 1999. Using your existing account or your trial account, get the Desktop App and upload your QuickBooks file. Start your FREE 15-day trial TODAY. Learn More about My Docs Online. If you’ve recently had an automatic update to your Windows operating system and the Desktop App is no longer working the problem is most likely related your Java cache, which needs to be cleared. The problem can be resolved in about 2 minutes by following these instructions from our FAQ. If you have any problems with the instructions please let us know and we can walk you through the fix. There are a variety of ways to reach us – all available here.